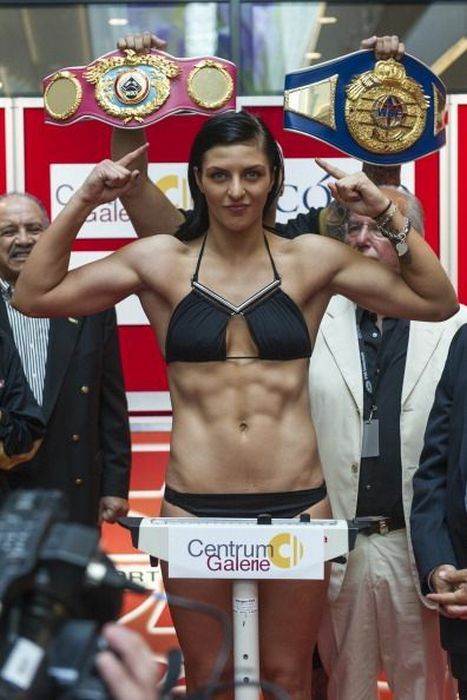 Swedish pro boxer Mikaela Lauren kissed opponent in an intense stare down at weigh-in. which is worse? the dreads or the other chick's top?